This series is the best exposition of a minimal-technological lifestyle that I have ever seen. It is far more revealing than most anthropological documentaries. Here, two white guys go native. For three months they live with a Papua New Guinea tribe that still adheres to traditional hunter gathering mode, using bows, stone and bone tools. Unlike most visitors, including anthropologists, these guys eat only what the tribe eats; indeed, they eat only food that they help find and process. They learn to make their own traditional tools and weapons. Seeing this process we get a very good sense of what is involved in living “in harmony with nature.” It’s tough. Each week the visitors give up more of their gear until they wear what the tribe wears, which is not much. The filmmakers record their own bumbling attempts to learn how to survive in the forest as these members of the Kombai tribe do, and via their education we get a fantastic view of tribal life. 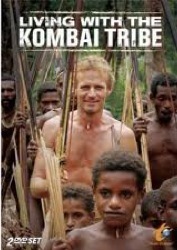 In the second season, Mark and Olly join the highlander Mek tribe, also in Papua New Guinea (the Kombai were lowland tribe), and again go full immersion. During their four-month stay, they build their own hut, get initiated into the tribe, learn to love roots, and get swept up in village and tribal politics. In their third season Mark and Olly go native with the Machigenga tribe at the headwaters of the Amazon. As in the other two tribal stays, this series gives a intimate portrait of what tribal life is like day to day. Tribal life is easier than one expects in many ways, and less appealing in many others. What surprises me is how disruptive small events are to a tribe, yielding constant drama. yeah… I’m a big fan of this program.. in natgeo.. I l,ove this program too.